Daniel Geretz grew up in St. Louis Park, Minnesota and spent his high school years learning at the Fasman Yeshiva High School (“Skokie” Yeshiva.) He earned a bachelor degree in Computer Science at the University of Minnesota, and upon graduation moved to New Jersey to begin his professional career as a Director of Operations for a Monmouth County-based business. In a lay leadership role, Daniel served as Financial Vice-President and President of Congregation Ahavas Achim in Highland Park, NJ. Daniel has taught weekly shiurim in a number of communities and, in early 2015, became the founding rabbi of Maayan, an Orthodox minyan in West Orange, NJ. 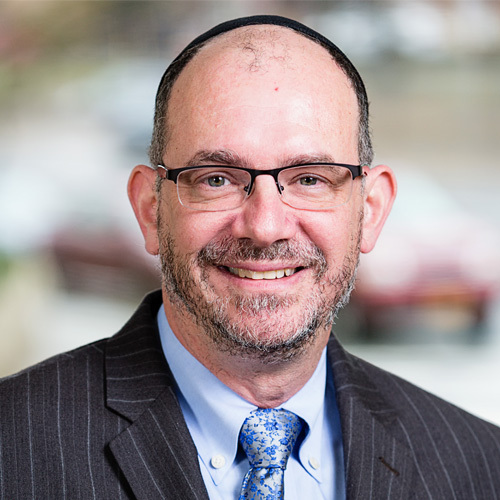 Daniel has continued to serve as the rabbi of Maayan, and works in chaplaincy at Center for Hope Hospice in Scotch Plains, NJ and Saint Barnabas Medical Center in Livingston, NJ. Daniel is in the process of completing his training to become a certified chaplain.